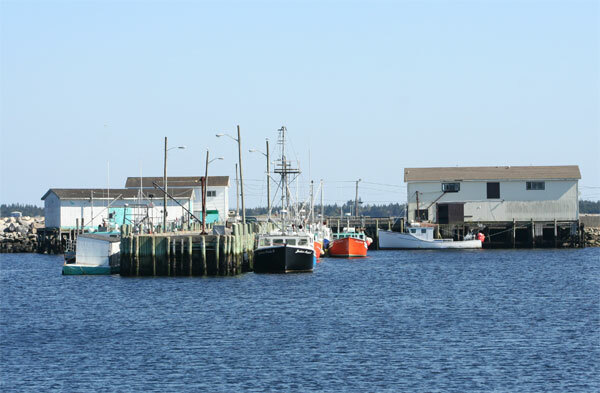 We have only visited Lockeport once since moving to Canada and that didn’t leave a lasting impression – well not a good one. It was winter, and the little town seemed to be dying. I took no photographs, because there was nothing to inspire me. On Saturday we had a walk along Louis Head Beach, and decided to drive to Lockeport for another look. 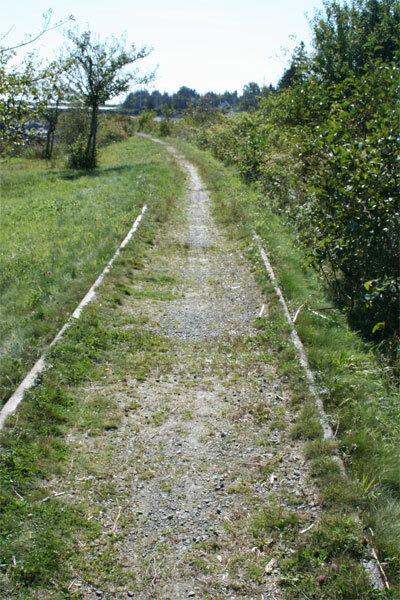 As we headed for the town, we saw that there was a walk to the town over the old railway bridge and decided to go that way rather than driving over the causeway. Huge sandstone blocks have been placed along the sea side as protection, perhaps after the problems they had with the storm surge of Hurricane Bill. 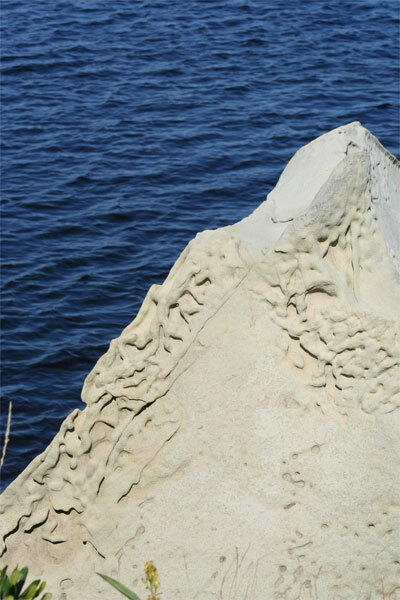 Many of them are eroded by the weather and look as if they have been ornately carved for a Cathedral. I was confused as to why the railway tracks are still in place, when the cost of steel is so high! Would this not be a good income for the town of Lockeport? 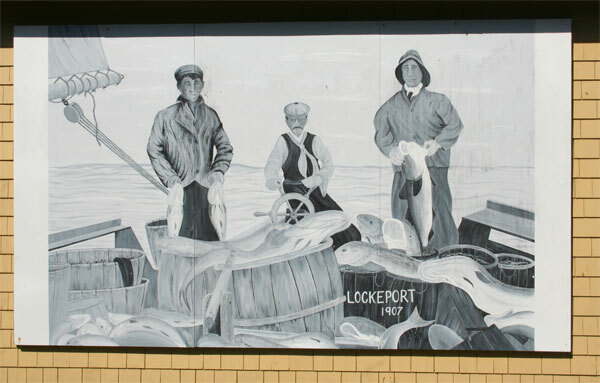 Many buildings in the town have large photographs of Lockeport when it was a thriving fishing and trading town. This photo shows the bridge we had just walked over. 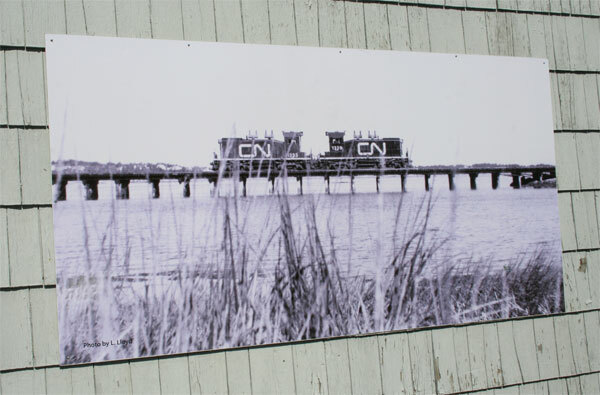 The photo is on the side of the Freight Shed at the harbour. It was a really hot day and we decided to look for a cold drink. 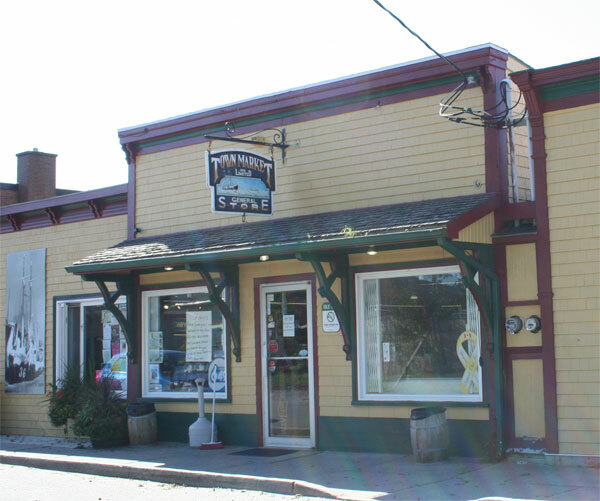 The Town Market definitely wins our award for the best kept non-chain grocery store. It was spotless, well laid out, and had everything you would need. The price of meat was even cheaper than our local Supermarket. It even had a little coffee shop attached with a large selection of coffees. 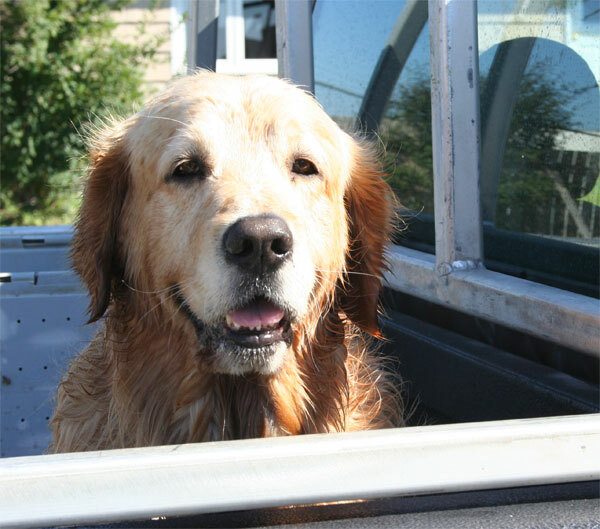 This chap, sitting outside the store, was pretty wet – maybe he’d been duck hunting? This painting on the side wall of the Market Store tells its own story. 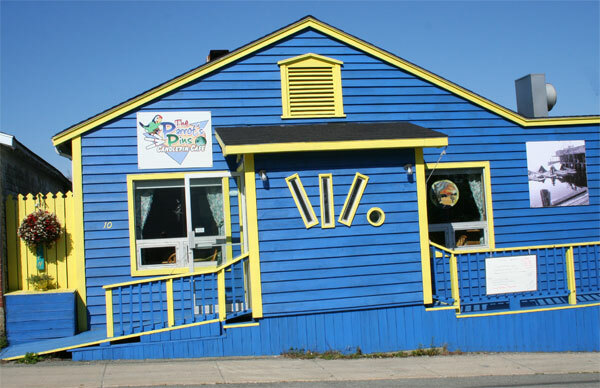 We weren’t too sure why this place was called the Parrot’s Pins Candlepin Cafe. Does it have a bowling alley inside, is it a play on words? We had just had a picnic at Louis Head, so were not ready for lunch. 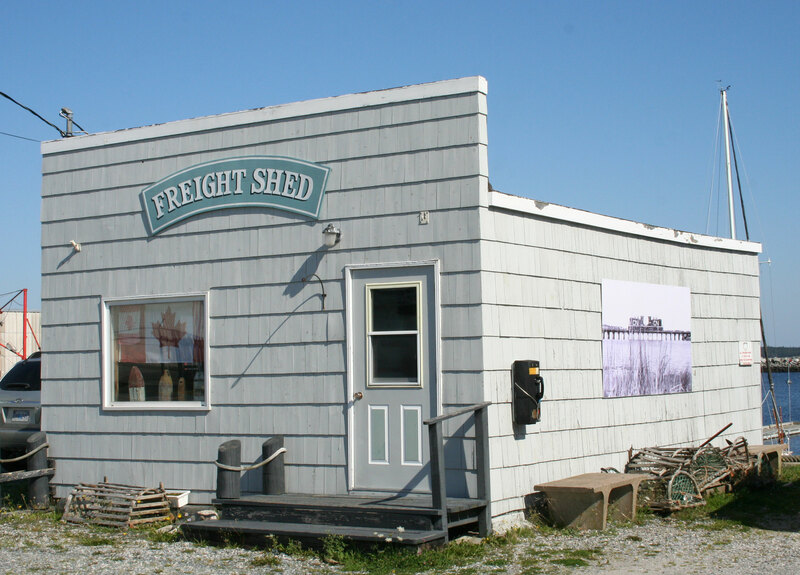 The outside of the building is bright and well kept and its photo shows boats overloaded with cod in the days of plenty. 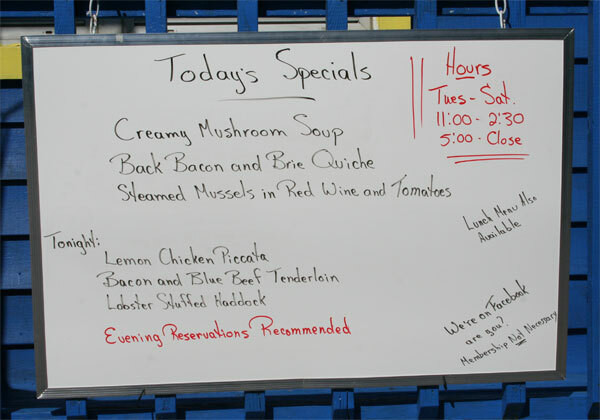 The Menu was exciting and we will return here soon. 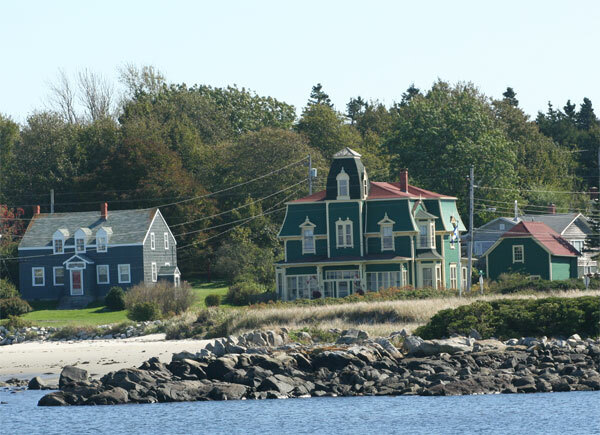 Looking across from the harbour, was this green Victorian home, built by Captain Henry Locke in 1876. The Second Empire architecture is seen in the mansard roof and projecting tower. The other house, with the 3 dormers, was built around 1836 and is the oldest remaining building in Lockeport. 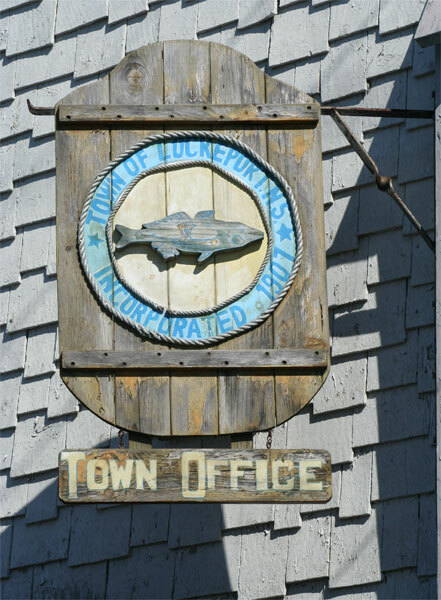 Sign at Town of Lockeport Office. Few boats are seen in the harbour today, not like the early years.I found this description of the 1700’s fascinating. 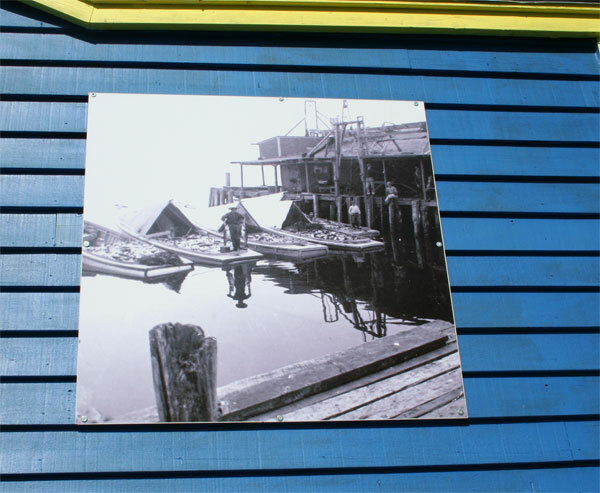 ‘Locke’s Island, and its surroundings entered a period of booming industry, with hotels, trade warehouses, and multiple fish plants being constructed. Large trade ships plied the sea lanes from Locke’s Island to the West Indies to trade lumber and salt cod, returning to the town laden with Molasses and Salt. The fishing schooners were constantly returning from the Bank’s loaded with cod. However, this golden age of the Ragged Islands would eventually come to an end, with the first of many catastrophes coming in the form of a fish market collapse in the 1890s. Subsequent fires plagued the town, and the once great community was brought to its knees. Carter Island Lighthouse marks one of the many rocky islands in the bays. 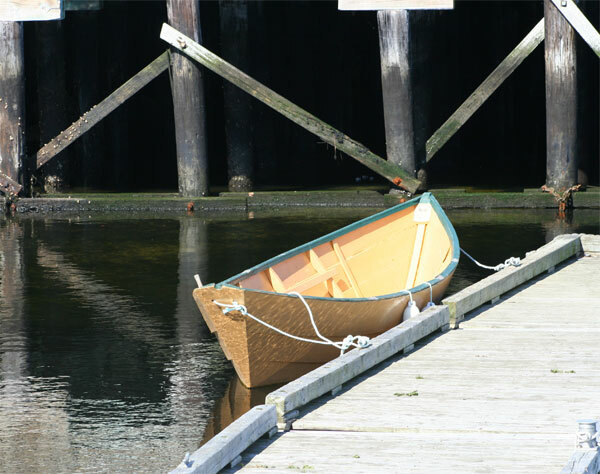 This dory beside the old pier, is my last shot of Lockeport. I left the town with very different feelings from my first visit. 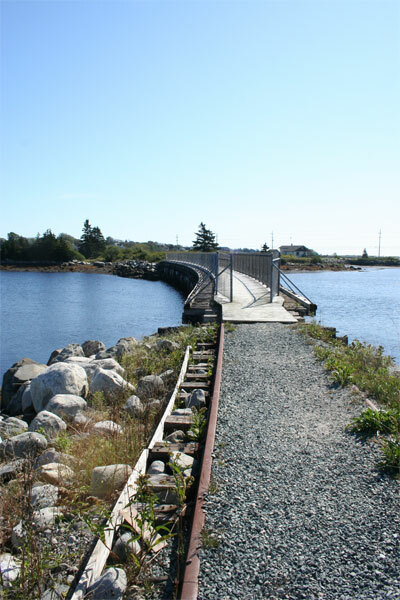 Lockeport is trying to change and make it an inviting place for tourists and visitors. By telling the story of its past, people can realise what a prosperous place it was and the reasons for the changes. 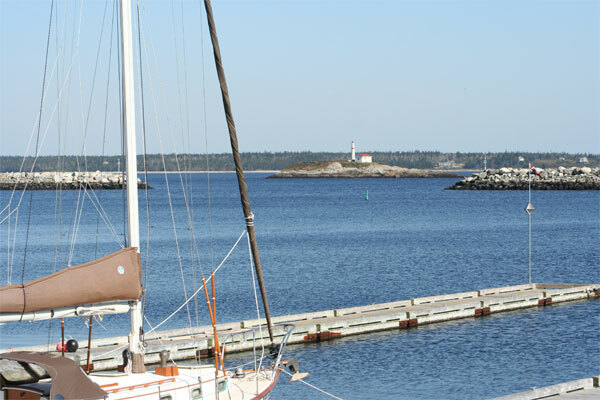 I wish the town well with their transformation and am delighted that I found another ‘special place’ in Nova Scotia.